STEM Ambassador Inductions & DBS Renewals: New Dates! The STEM Ambassador Programme enables teachers to introduce their students to volunteers from a variety of STEM backgrounds, helping them to get excited about STEM subjects and to understand the links between their school curriculum and possible future career pathways. Volunteers from business, industry and academia, who want to share their expertise and experience with teachers and young people, can sign up as STEM Ambassadors. The Programme is brilliant for supporting a company’s CSR policy! All volunteers are provided with some basic training for working with schools & a free enhanced DBS check. Throughout March and April we’re holding induction events for new Ambassadors. This will allow you to complete your registration and receive the induction training. There will also be the opportunity for current STEM ambassadors to drop-in for a DBS renewal session. 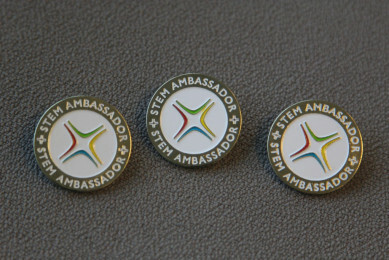 Become a STEM Ambassador and help inspire the thinkers of the future. You really can make a difference! Don’t delay! Sign up as a volunteer now! Click here to book your induction or contact [email protected] to arrange an induction at our office.